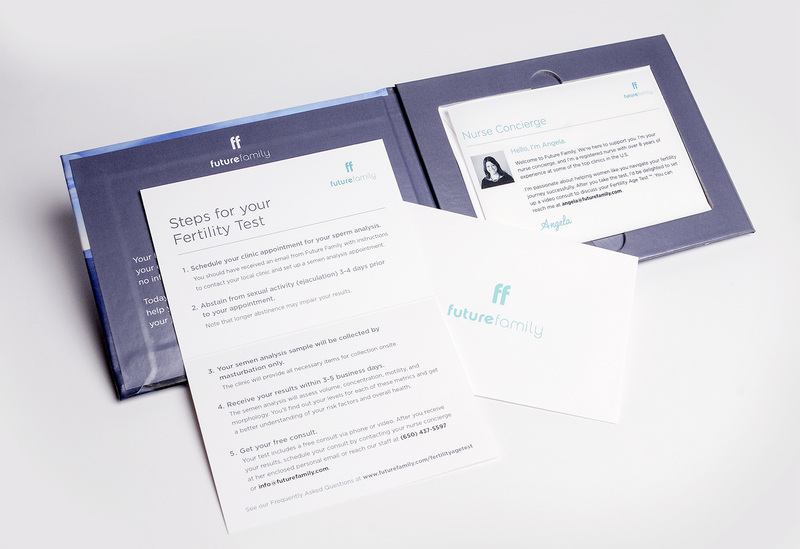 Back in June of this year, we wrote about a company called Future Family that aimed to simplify the world of female fertility testing, all while bringing down the cost of treatment options. But female fertility is but a part of the baby equation; it takes two to tango, as they say. With that in mind, Future Family is now offering fertility testing for men, as well, with a new product they call the Sperm Activity Test (or SAT.) They took the stage at TechCrunch Disrupt Battlefield to debut it for the first time. You go on their site and order the $200 test. You’ll receive a folio in the mail that introduces you to your “nurse concierge” and outlines the next steps. You’re paired with a local clinic, which you visit for your sperm analysis. The clinic measures volume, concentration, motility and morphology. As most people would get their results without knowing what the heck they were looking at, they pair you with a fertility expert for a video chat to breakdown what it all means and what the next steps might be. The goal? To make accurate, in-depth testing available without requiring users to navigate insurance woes and specialists. After the test, Future Family will also offer assistance with services like fertility preservation (sperm banking). Future Family was founded by Tomkins and Eve Blossom after Tomkins saw the many challenges involved firsthand, spending hundreds of thousands on treatments to have a child. “It opened my eyes to how broken the experience was,” she tells me. You can find our previous coverage of the company here. Can you talk about the validity of your test? Is there a risk of false positives, or false negatives? We’re not a laboratory company; we’re using the tests that the top doctors and clinics use, and making them available online. What have you learned so far about going direct to consumer? What’s your customer acquisition cost? We launched back in June, and we’ve had a very strong response with lots of inbounding. Our costs are very sustainable. Are there other products and services that you think could be relevant? Yes; this is a whole journey, and there are a lot of areas we could help. How do you recruit your fertility experts? Are they contractors or actual employees? We’re building a nationwide network of fertility nurses. We’re recruiting them from the top clinics, and usually have 8-10 years of experience. Many of them are joining as contractors, but we’re slowly starting to convert some of them over [to employees]. Have you thought about making your own tests or technology? Right now we’re working with partners to bring the best available tests to more users.